Is Reiki Complementary To Other Types of Meditation? Can I still learn Reiki if I am practising other meditations? Absolutely! The divinely guided energeies that are being worked with in Reiki or any other energy based healing practice are a wonderful addition to any meditation toolkit. For example, imagine that we are doing a meditation which focuses on our breathing; let's assume that this is our main practice and something which we do for 20 minutes. If we were to learn the first level of Celestine Reiki for example, we could now simply add this 10 minutes of energy based healing practices to the end of our 20 minute standard meditation practice. In a way, the breathing meditation would prepare us very nicely for the divinely guided healing vibrations to come in Celestine Reiki. By combining the techniques, we are also able to see which type of meditation appeals more to us, maybe we enjoy doing both, that's fine too. There is an entire world of energy based healing out there and we would definitely encourage you to explore - these are truly wonderful gifts which will help you move forwards on your pathway towards more love, light & wellbeing! 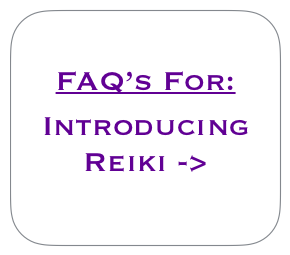 - What is Usui Reiki? - Are there other forms of Reiki? - How do I practice Reiki? - What will I feel when practising Reiki? - ﻿How long does a Reiki session take? - Can I still learn Reiki if I am practising other meditations? - Is Reiki a religion?